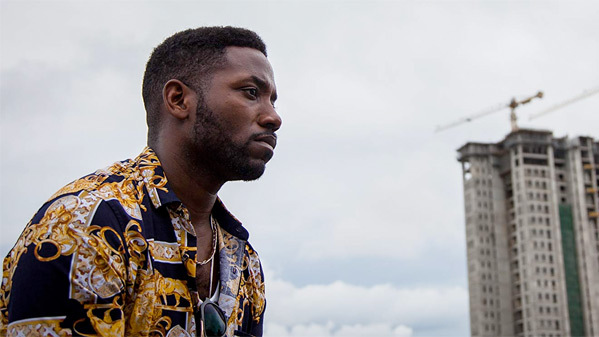 "Anyone can fall for scams…" Vertical Entertainment has debuted the official trailer for an indie drama titled Nigerian Prince, which first premiered at the Tribeca Film Festival earlier this year. Made by a New York-based Nigerian-American filmmaker, the film tells the story of a Nigerian-American teenager who is sent back to Nigeria indefinitely by his mother. There he joins forces with a dangerous internet scammer in order to figure out how to return to the United States. Antonio J Bell stars as Eze, along with Chinaza Uche, Tina Mba, Bimbo Manuel, Ebbe Bassey, Rita Edward, Craig Stott, Dean Cameron, Omar Maskati, and Russell G. Jones. This looks like it gets extra violent and way more intensely thrilling than it seems at the start. I'm definitely curious about this, looks like a well-made indie film. Take a look below. Follows Eze (Antonio J. Bell), a stubborn first generation Nigerian-American teenager, and his cousin, Pius (Chinaza Uche), a desperate Nigerian Prince scammer. After Eze's mother sends him to Nigeria against his will, Eze retaliates by teaming up with Pius to scam unsuspecting foreigners in order to earn money for a return ticket back to America. 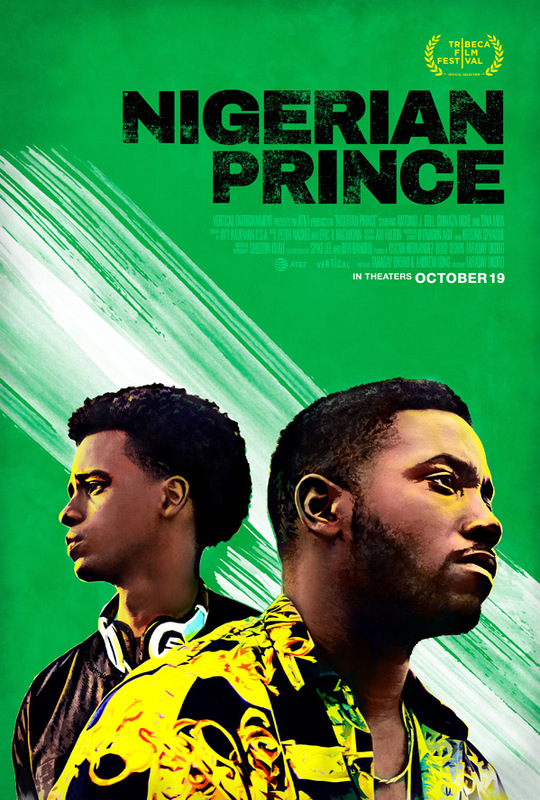 Nigerian Prince is directed by New York City-based Nigerian-American filmmaker Faraday Okoro, making his feature directorial debut after working a sound mixer / boom operator for years before this. Okoro received a $1 million grant from AT&T's Untold Stories program to produce his film. The screenplay is by Faraday Okoro & Andrew Long. Executive produced by Spike Lee and Biyi Bandele. This first premiered at the Tribeca Film Festival earlier this year. Vertical will release Okoro's Nigerian Prince in select theaters + on VOD starting October 19th coming up this fall. Interested?